Published: Aug. 26, 2016 at 02:05 p.m. Updated: Aug. 27, 2016 at 08:32 a.m.
Tyler Eifert hasn't given up on making a major difference for the Cincinnati Bengals this season. 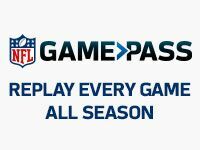 NFL Media Insider Ian Rapoport reported Friday that the talented pass-catching tight end is targeting a return somewhere between Week 4 and Week 6, per a source informed of the injury. The overriding hope is that Eifert will be ready to play by Week 4, when Cincinnati faces the Miami Dolphins. Eifert, who just began jogging again, is making his way back from offseason ankle surgery that wiped out nearly his entire offseason. If he can't get back on the field by Week 4, the team's following two games come against the Dallas Cowboys and New England Patriots. With veteran receivers Marvin Jones and Mohamed Sanu signing elsewhere this offseason, the Bengals need everything they can get from Eifert, who finished third on the team last season behind that pair with 52 catches for 615 yards and 13 touchdowns. With tight end Tyler Kroft battling a sprained knee, fellow second-year man C.J. Uzomah has a chance to start the opener against the New York Jets. It's hardly what the team was envisioning, but injuries have already shaken up the pecking order in Cincy. 1. Arizona Cardinals quarterback Jake Coker has a sore knee and won't make the trip to Houston for Sunday's game, the team announced. 2. Atlanta Falcons coach Dan Quinn said Julio Jones (ankle) and Adrian Clayborn (shoulder) likely will be limited in practice Sunday as they come off minor injuries suffered in Thursday's game.